We’ll be hitting the road roughly every fortnight to expose some of the planet’s best loved labels, and hottest new imprints, inviting bosses to dish the details on why they do what they do. First up we’re keeping it British, and welcome a gentleman who needs little introduction. 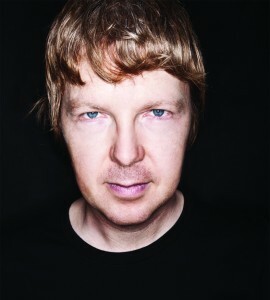 Whether born into the early UK house scene, prog’s heyday, or the current club climate, John Digweed is a name we all know. As is Bedrock, the UK institution he set up with Nick Muir as the 90s drew to a close. Without further ado then, here’s the lowdown on some 12 years of musical pedigree. Good quality electronic music ranging from the melodic sound of Guy J to the tougher techno sounds of Marco Bailey, and everything in between. I don’t think we are different, but we try and be consistent all the time with every release. The electronic scene has always looked for new stars and I am no different. I always want the most upfront music to play out, so for the label I want to find the new talent out there. What is Bedrock’s pinnacle achievement to date? In the current market I would say still being here would be a good achievement after 12 years in this industry. If people were going to hear one release from your label, what would you prefer it to be? The Bedrock 10 album gave an overview of the label’s first 10 years, whereas the new Structures Two album shows where the label is heading. Take your pick. I really can’t think that far ahead, I don’t think people will be paying for music like they do now, so I’m not sure what the business model will be by then. Subscription based or free with your mobile phone / TV provider, who knows? Quick Fire Interview – Mark Storie.